1 Year Minimum Warranty on all Golf Cart Batteries Batteries as well as Labor if we do the installation, Trojan Battery Warranty for most Golf Cart Batteries is 18 Months. All of our Used golf cart batteries are fully tested, battery acid neutralized and all come with a full 3 Month Exchange Guarantee. 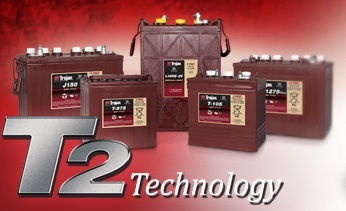 We do not sell any 2nd's or Blemished Golf cart batteries as that is the same as a USED battery and honesty has a major role in how we conduct business. 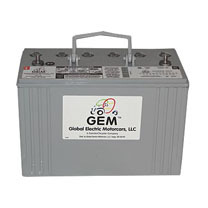 Super Heavy Duty Golf Cart Battery, will replace all the above batteries. When Range is your main concern this is the best golf cart battery to have in your cart.